I have had a few internal network penetration tests now in which I came across the following finding identified by McAfee Vulnerability Manager (MVM): "Firebird SQL Default Credentials Detected". So I figured I'd share with you what is required to interact with the database and provide you with ideas on what you can do after you connect. Tune in for a future article on more fun with Firebird. 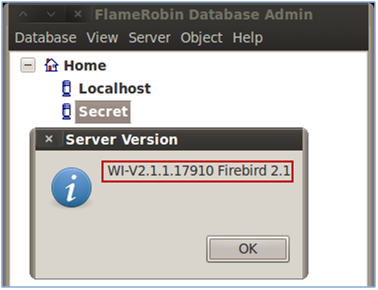 What is the Firebird Database? “Firebird is a relational SQL database offering many ANSI SQL-92 features that runs on Linux, Windows, and a variety of Unix platforms. Firebird offers excellent concurrency, high performance, and powerful language support for stored procedures and triggers. It has been used in production systems, under a variety of names (the most famous being "InterBase") since 1981. There are plenty of tools to interact with Firebird. Most commonly that can be grouped into either a client or a Database management tool. We'll look at one of each. 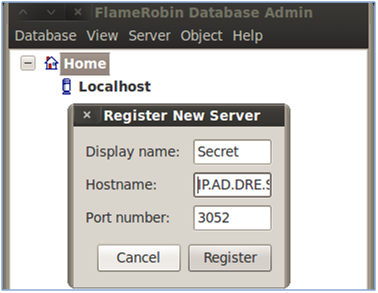 dependent only on other Open Source software"
/root/.flamerobin/fr_databases.conf does not exist or cannot be opened. This is normal for first time users. You may now register new servers and databases. This is the official tool to interact locally with the Firebird Database. gsec is a command line utility used to connect to the security.fdb in order to manage users. This tool must be run on the database server itself as it has no parameter to be run remotely, however this could be combined with psexec for remote execution if you had sufficient OS credentials. With access to the database, you can do any number of tasks. We'll look a couple to get you started. Port Number: will usually be 3050, however this instance is running on another port. Another useful task is to add or change user accounts. An interesting piece of information is that the Firebird database does not check any characters beyond 8 in a password. Thus the masterkey default password might as well be “masterke” as the ‘y’ at the end is never checked because it is beyond 8 characters. Additionally, usernames are not case sensitive, however passwords are CaSe SeNsItIvE. Use the instructions above in the “Retrieve Remote Server Version” section in order to register the remote server if you have not done so already. 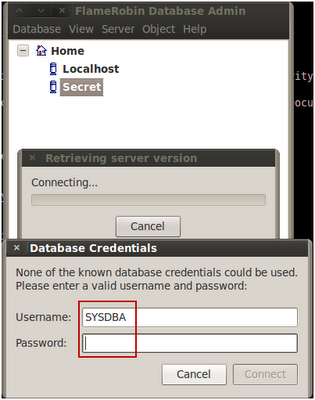 Then right-click on the server that you just registered, select "Manage Users" and enter the SYSDBA credentials if they are not saved from the remote version enumeration above. To add a user, just click "Add User" and provide the required information! To modify other users (including changing their passwords) by clicking on the “details” icon which looks like a magnifying glass over a piece of paper. Since gsec a command line utility used to connect to the security.fdb in order to manage users, it must be run on the database server itself as it has no parameter to be run remotely. However, this could be combined with psexec for remote execution if you have sufficient OS credentials. Add a user named user with a password of password. Modify the account name, optionally as specified by options. To modify users, define the username and password used to connect to the database with "-user" and "-pass", then use the "-mo" parameter to define the user account and "-pw" to define the new password. Run across this in your own adventures? Tell us about it in the comments below! I'm playing with one of these right now and google is failing me: Is there an equivalent to xp_cmdshell in firebird? Wish I had a good answer for you. I only get to mess with these when I run across them in the wild. The main reason why I created the post was to get the conversation going about Firebird Database security. There seems to be very little out there on it. Please post back if you come across anything. I will definitely update this when I see another one. Thanks.